Big shoulders are indicative of a powerful man, even more so than arm development. 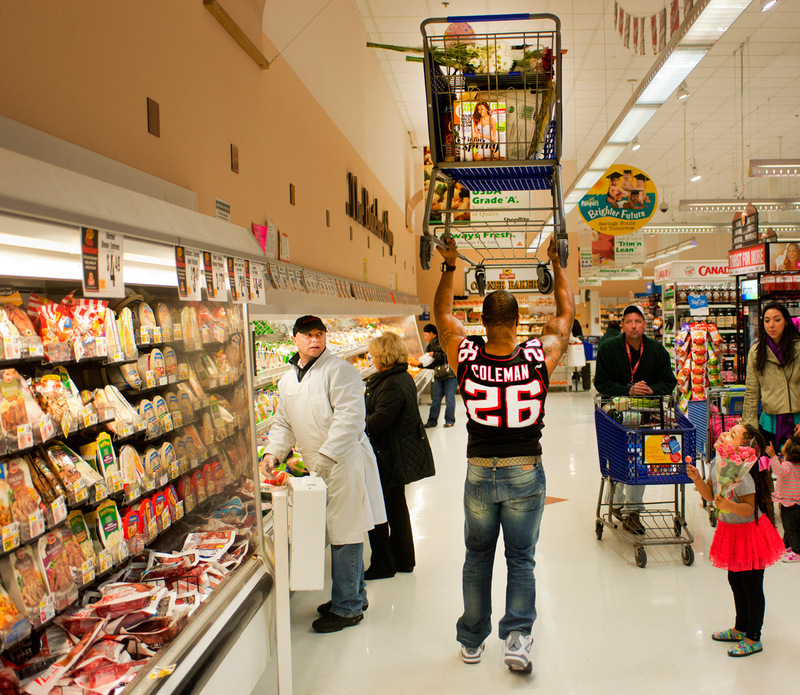 When a weightlifting champion, pro wrestler, of heavyweight boxing champion is seen wearing a coat or sport jacket, it is the width of his shoulders that makes him stand out in a crowd. Record bench presses and Olympic lifts are largely the result of superior shoulder strength. 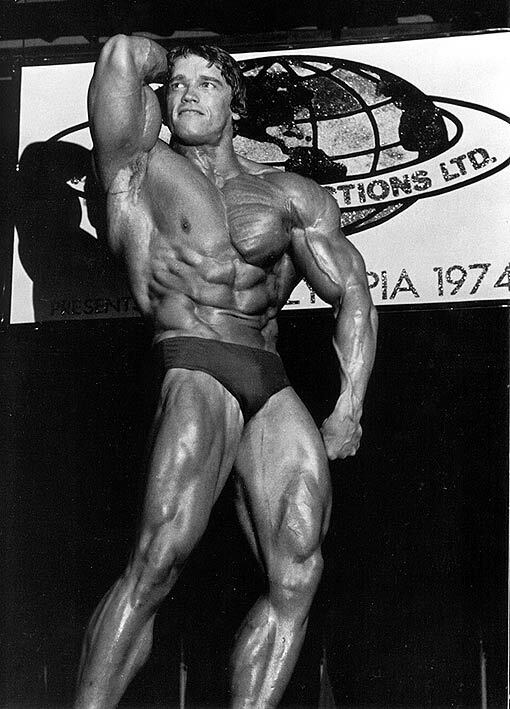 Those who begin bodybuilding with wide shoulders are very fortunate. Bone structure largely determines a person's shoulder girth. Those with wide scapula (shoulder blades) can more easily achieve that tapered look that is very much emphasized in modern physique competition. If you re not blessed with wide shoulders, you have special work to do to make up for this and your shoulder routine will be different from that of a broader person. When I began bodybuilding, my shoulders were considerably under par. It seemed as though my hips were wider than my shoulders. I did not let this discourage me and, in fact, worked my shoulders more than any other body part in many of my workouts. Shoulder work cannot be over-emphasized. I have yet to see a pair of overdeveloped shoulders. To begin with, shoulder width by skeletal structure can be broadened somewhat. This can be done by stretching the ligaments of the scapula. The best way to do this is with wide grip chin-ups. Spacing your hands far apart on the bar, do two sets of as many chin-ups as possible. If you have wrist straps available, use them to help you hang onto the bar. After each set, when you are no longer able to perform any more reps, let yourself hang for a minute or so. The next two exercises in this routine are for enlarging the outer head of the deltoid muscles. This will complete the wide look by thickening the shoulder muscles themselves. Using a collar-to-collar grip on a standard barbell, do four sets of presses behind the neck. Bring the bar all the way down to the base of the neck, then lock out overhead. Do between 6-8 reps. Use a weight that makes that final rep of each set a real struggle. The last exercise is the upright row. This is great for shoulder width, but it also builds the trapezius muscles between the neck and the deltoid. If narrow shoulders are your problem, it is best to avoid too much trap work since large trapezius muscles can detract from the width of your shoulders. The same goes for neck development. Some neck work should be done, but avoid an excess of these exercises. Grip the bar with your hands only a couple of inches apart. Keep your body straight and pull the bar up to the t op of your pectoral muscle, just under the clavicle. 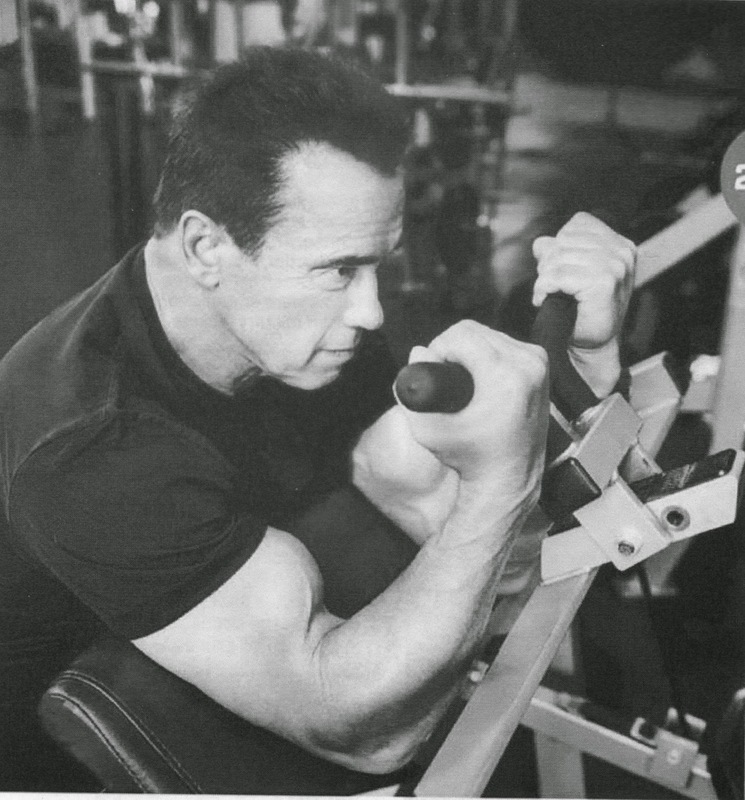 Do two sets of 8-10 reps.
1) Wide Grip Chin, 2 sets of as many reps as possible. 2) Wide Grip Press Behind Neck, 4 x 6-8. 3) Upright Row, 2 x 8-10. After six to eight weeks on the above shoulder widening course, it will be time to concentrate on training the deltoid muscles for muscular mass. If your shoulders are naturally wide, you can start off with this routine. The first exercise is the incline barbell press. Use a grip beyond shoulder width while lying on an incline bench. Do 3 sets of 6 reps. This exercise will add size to the frontal deltoid head as well as building the area where the pectoral muscles of the chest tie in with the deltoids. The standing alternate dumbbell press is one of the best all-around upper body developers. Use heavy dumbbells and try to do your first three or four reps without too much bending from side to side. Do your last reps using the bending motion to assist you. This will enable you to use a heavier weight and hence add muscular bulk to the deltoid. This exercise will also firm up the obliques and bring out those finger-like serratus muscles below the chest. Do 3 sets of 6 reps. The high pull is similar to the upright row. Use a wider grip, about shoulder width. Use as heavy a weight as possible for the number of reps recommended. Start with the barbell on the floor. Pull hard till the bar is pulled up to chest level. Unlike upright rowing, the bar goes down to the floor with each rep. In all of these exercises try to add weight every few workouts, whenever you can do more reps than are recommended. Do 4 sets of 4 reps in the high pull. 1) Incline Press, 3 x 6. 2) Standing Alternate DB Press, 3 x 6. 3) High Pull, 4 x 4. Use the deltoid size routine for at least two months. During this time increase your intake of high protein foods, especially meats and dairy products. The next routine will accomplish several purposes. First, it will concentrate on areas we didn't use much in the last routine. This will develop seldom used muscle fibers, spurring your deltoids on to even greater size gains. It will complete the development of all three sections of the muscle, creating symmetry. Finally, it will chisel out striations and separation. This will be accomplished by the use of concentration exercises for each muscle area. The first exercise is the seated lateral or fly. Sit on a bench holding a light dumbbell in each hand. Sitting on a bench will discourage back bending. Keep your palms facing downward throughout the movement and your arms slightly bent. Raise your arms until your hands are directly over your shoulders. Do 5 sets of 6-8 reps.
For the next exercise you will need a rubber chest expander or a set of cables. This is a great piece of equipment and is a must for a traveling bodybuilder. Make sure you buy an expander set of the right strength. You should be able to do at least eight reps of the following exercise with it. Keeping your elbows locked and holding your arms straight out in front of you, pull your straight out to your sides. Don't bend your elbows! Do as many reps as possible. These will develop your posterior, or rear deltoids. Bentover lateral raises accomplish similar results, however, with the expander resistance increases toward the end of the movement where the most work is needed. Do 3 sets of as many reps as possible and stay on this course until the acronym AMRAP becomes popular with weight trainers. To build size and definition in the frontal deltoids, hold a light barbell with a shoulder width grip. Keeping your arms straight and not bending your elbows, raise the barbell over your head. This is the front delt raise. Do 3 sets of 6-8 reps. In this final program don't rest for more than a minute between sets. Do each rep strictly. Get a maximum amount of reps out of each set in all three programs. Work hard and diligently on each program for two months. At the end of the six months you should notice quite a difference in your shoulder development. Seated Lateral Raise, 5 x 6-8. Expander Rear Delt Exercise, 3 x maximum. Full Front Raise, 3 x 6-8. In most weight training establishments there is a myriad of physical training devices which, to the general public, must resemble some of the equipment that was used in a Vincent Price movie. Most young trainees are attracted to the shiny, padded machines and often will pass by some of the more conventional pieces of apparatus. One such neglected and misunderstood device is the cambered bar. 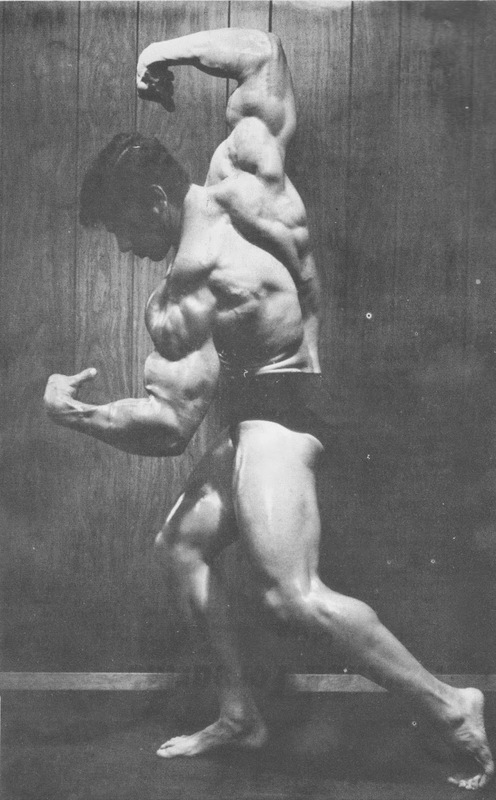 I first saw a photo of a strange shaped bar in a 1967 magazine which depicted former Mr. Universe, Bruce Randall, performing a good morning exercise with a monstrous weight. The weight was so heavy that the Olympic bar he was using was actually bent somewhat by the stress placed on his wide back due to that excessive weight. I next encountered this strangely formed bar at the local Hartford YMCA where I learned the rudiments of weight training. Because lifters had left large weights on the one Olympic barbell overnight for many nights, the bar was bent in a curved position which seemed to make performing the good morning exercise easier and allowed me to do a deeper bench press. Deciding that this bend in the bar could be useful for bench pressing, I asked one of my Dad's friends if he would weld a barbell according to my instructions (the bar was U-shaped towards the center and its measurements were specific to my shoulder width in 1968). Upon receiving the bar, we named it the 'horseshoe barbell' because of its unique shape in the center. Other people began to use the bar and in the early 1970's I noticed that this horseshoe bar could be purchased from various equipment companies which labeled it the cambered bar. 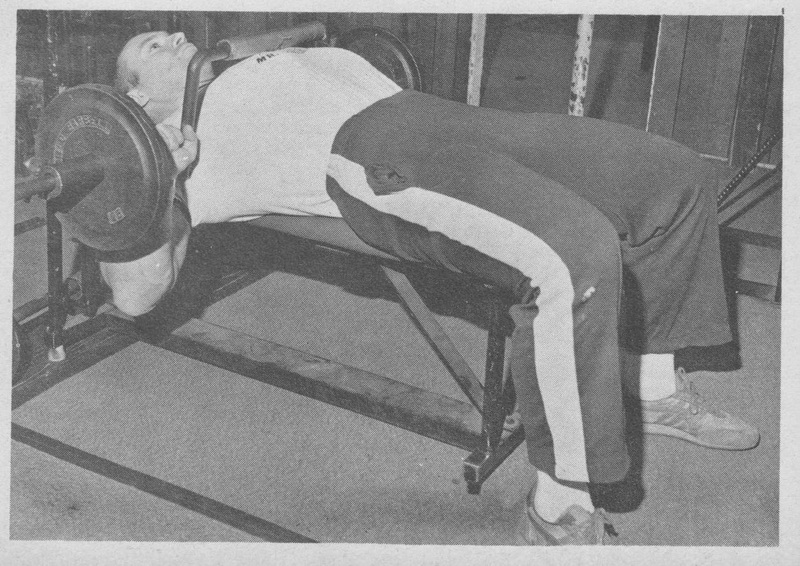 Although the use of the bar spread, I noticed that most people used the horseshoe bar primarily for one use only, the bench press. 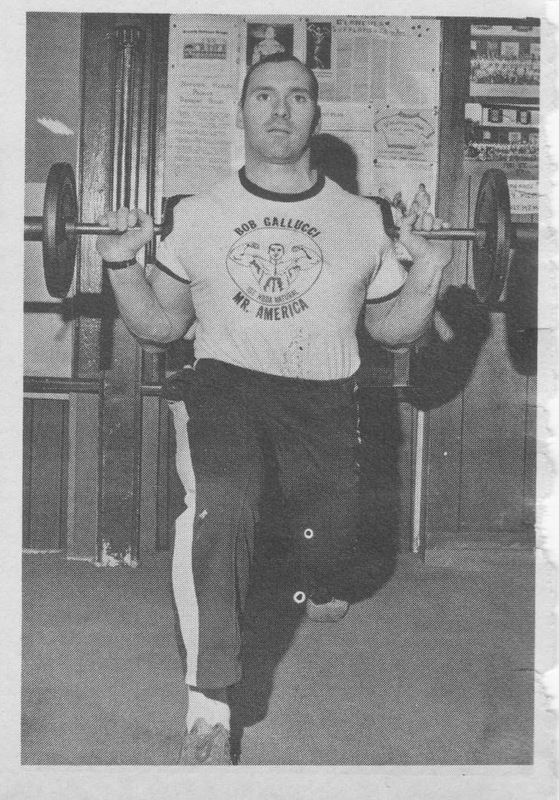 It is the purpose of this article to explain the many uses of the horseshoe bar, which most of our trainees at Gallucci's Gym include frequently in their routines. The horseshoe bar can be used for increasing the depth (stretch) in the bench press. This will allow greater flexibility at the shoulder and increase strength and hypertrophy development. Because the most severe muscular contraction is a contraction while that muscle is stretched (in this case the the pectoralis and anterior deltoid), you must warm the area thoroughly by using a progressively heavier load (this will decrease the incidence of injuries which can result from this exercise). Personally, I use 3 to 4 sets of progressively heavier warmups before I reach my first set of 6 reps in the horseshoe bench press. If you want to increase your bench press, stimulate muscle growth, and experience the soreness which is commonly associated with growth, try this exercise on a regular basis for 5 sets of 6-8 reps. The old Bruce Randall exercise! Using a straight bar and placing that bar on the cervical area (neck) of the back, I maximally used about 200 pounds with great discomfort. I always felt like my neck was worked harder than my lower back and hamstrings. The horseshoe bar can be placed on the thoracic vertebrae (between the two scapulae-shoulder blades). This allows the trainee to hold the outside sections of the bar while placing most of the stress from the resistance on the upper back rather than the neck. Lock the knees and go from the upright position to a position where the upper body is parallel to the floor (see photo). Keep the head up and breathe in on the way down. When completely coming erect, forcibly blow air out from the mouth (his helps to clear the head and curtails the Valsalva movement - the restriction of blood flow to the head causing blackouts). This exercise greatly works both the hamstrings and the lower back muscles. A) It is a very difficult exercise (balance is hard to maintain due to supporting the bar on the shoulders. Slight movement can cause loss of balance). B) It is a very dangerous exercise (tremendous stress is placed upon the acromio-clavicular joint of the shoulder. C) It is a very discomforting exercise (depending on one's anatomical development, i.e., if the trainee does not have sufficient anterior deltoid development he may find it extremely difficult to support the bar. Because the benefits of the front squat are so great, I have many trainees who want to do front squats but who never excelled at them because of the 3 D's (difficult, dangerous and discomforting). The horseshoe bar provides a means of performing the front squat by placing the bar in the same position as the horseshoe good morning exercise (upper back area) and squatting down to a parallel position. There is no stress on the neck. There is less stress placed upon the acromio-clavicular joint (especially if the bar is slightly less than your shoulder width - see photo above). Balance is greatly improved. The greatest improvement is the stress placed directly on the quadriceps and the thigh in a straighter position which places the resistance on these areas and not as much on the gluteal area. The bar should be placed on the upper back (same position as in exercises 2 and 3). Standing in an upright position, lunge forward with one leg so that the thigh is parallel to the floor. Push off with the extended leg back to the starting position. Repeat with the alternate leg. This exercise offers the trainee greater balance and less discomfort in the cervical area because of bar placement. This exercise works the quadriceps and thigh adductors. Simply hold the bar by the outside grips and allow the bar to hang at arms' length from a standing position. 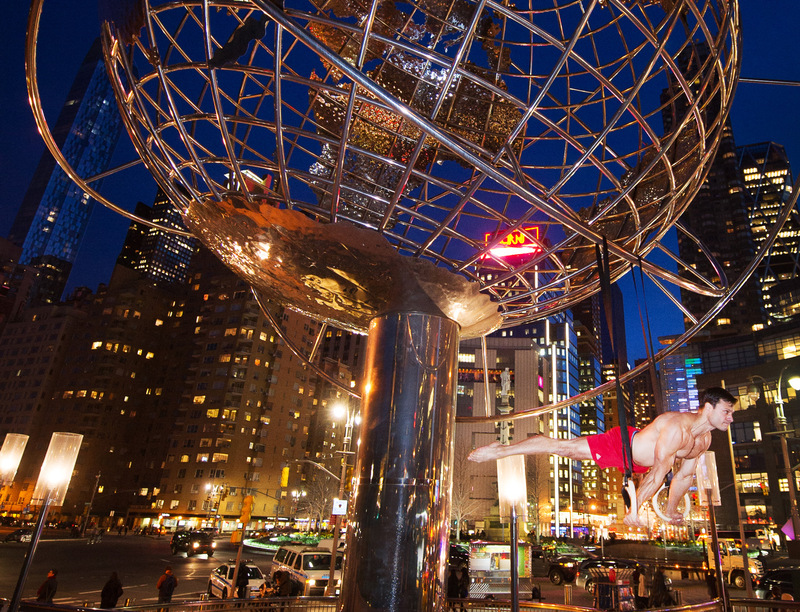 Begin rotating the bar in a circular fashion from front to back without bending the elbows. Notice the improved range of motion that the horseshoe bar allows when compared to a regular barbell. This exercise works the trapezius and upper back muscles primarily. I love to press behind the neck. Unfortunately, I have developed a severe acromio-clavicular problem from this activity. By using the horseshoe bar I am able to press the bar in a straight line from earlobe level to a full extension. Grasp the barbell on the outside grips and remove it from the rack or stands. The horseshoe part of the bar should be directly rearward. Press the bar straight up. This exercise allows the trainee to place great stress on the deltoid and triceps muscles with less stress on the shoulder joints relative to the press behind neck. It is a little difficult to perform at first, but allow time to physically and mentally understand the exercise and you should find it most helpful. One of the biggest complaints when performing a decline pressing motion with the regular barbell is the lack of range of motion. The horseshoe bar remedies this problem. While lying on a decline, take the bar off of power stands. Grasping the outside gripping area, lower the bar towards the chest. Press straight up and exhale. You will find that you are able to increase your range of motion in this exercise by 4-5 inches and that you are placing increased stress on the muscles of the chest and shoulder areas. It is one of my favorite exercises and it requires a spotter to do forced reps. These are the main exercises that have found to be of outstanding value when used in conjunction with the horseshoe bar. There are others as well. The author at 66 years of age in 2013. A few years ago when information first began leaking out about Eastern bloc training systems, one of the more significant items to emerge was that the athletes engage in a preparatory phase prior to cycling for competition, in which the main concern is an increase in the total tonnage over the previous preparatory stage. The research done by the scientists in those countries had proven rather conclusively that this type of training is paramount to increased performances on the platform later on. The physiological reason as to why this is the case is complex and even open to debate on the theoretical level. Suffice it to say that, in a very abstract sense, the body is an electromagnetic force field whose parameters expand as a response to increased gravitational demands. In other words, the more total weight that the body is subjected to endure, the more it will grow as a result. The bottom line, all theories aside, is that it works. The next thing I am going to say will not be so free from controversy: Namely, that apart from the actual exercises selected, which will depend on which branch of the iron game the individual is in, the actual method used to increase one's total tonnage is irrelevant. Or, in other words, if one wants to subject the body to C tons of work, there is no easy way to do it. No matter how the sets and reps are broken down, it is going to hurt, the body is going to feel blitzed or beyond. And with proper rest and nutrition, there will be growth as a result. Now, I am sure that the first people to recoil with horror at my suggestion would be the Eastern bloc scientists. But then, politics has a way of infiltrating everything and so the regimentation of their societies has found its way into the locker room. One of the things that I have always found most beautiful about the iron game in the West is the freedom to experiment. And when one begins to look through the training systems of the great iron me in our country, one does find the total tonnage system popping up everywhere, mostly implicitly, but in different guises - all of which seems to work. which lends evidence to my theory. And the fact that there is no uniformity has definitely not hurt our results. Our country is far superior in two out of the three branches of the iron game - powerlifting and bodybuilding. And now, if I may be permitted to to digress for a minute, since it is germane to my argument, I would like to say that although we are not very competitive in Olympic weightlifting, I have always felt it to be an unfair criticism that Eastern bloc writers have leveled at the United States, that we have somehow failed because we are not superior in that branch of the iron game, too. Ask yourself, what kind of attributes does a top Olympic lifter need? Speed, strength, timing, quick reflexes, balance and explosive power and flexibility. And now ask yourself where these qualities are most often manifested in American sports. Why, in football of course. There is no doubt in my mind that Walter Payton would make a phenomenal Olympic lifter, and yet why would he want to do that when he can get rich toting a pigskin around? Even the smaller guys with these athletic attributes go into wrestling since there is no high school weightlifting, although most are good enough to play high school football and intramural college football anyway. So, by the time they leave college and size does become a factor, it is really too late for them to start Olympic lifting. 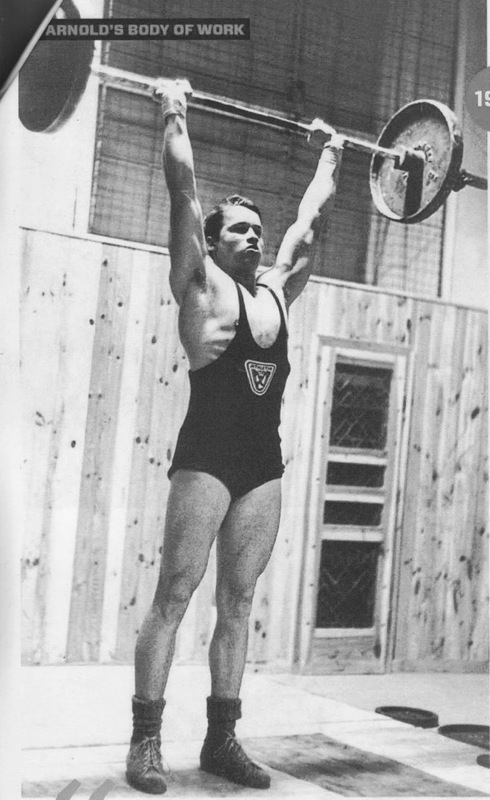 And, to further blunt the Eastern bloc critics, most all football players pump a lot of iron, including some total tonnage work (though it is not labeled as such), such as the very popular circuit training now used by many teams for part of the year. It is a nebulous comment indeed to say that there is more iron pumping going on in communist countries and, even more so, that regimentation is the only way to get results. Look at some of the behemoths we have on the football field to go along with our superior bodybuilders and powerlifters. And yet countless different systems have been used, based on a few key concepts, one of which is total tonnage. To criticize the United States for having inferior Olympic lifters is tantamount to criticizing communist countries for having no decent football players. Now, that is not to say that the regimented tonnage systems used in communist countries will not work; obviously they do. But, to get back to my original point, they only work because any system will work as long as the correct exercises are employed and the total tonnage is increased. And, the bottom line here is that the superstars in communist countries like Alexeev, are allowed freedom in training anyway. To further prove that high tonnage training works, let us look at two of the very best people in the West. 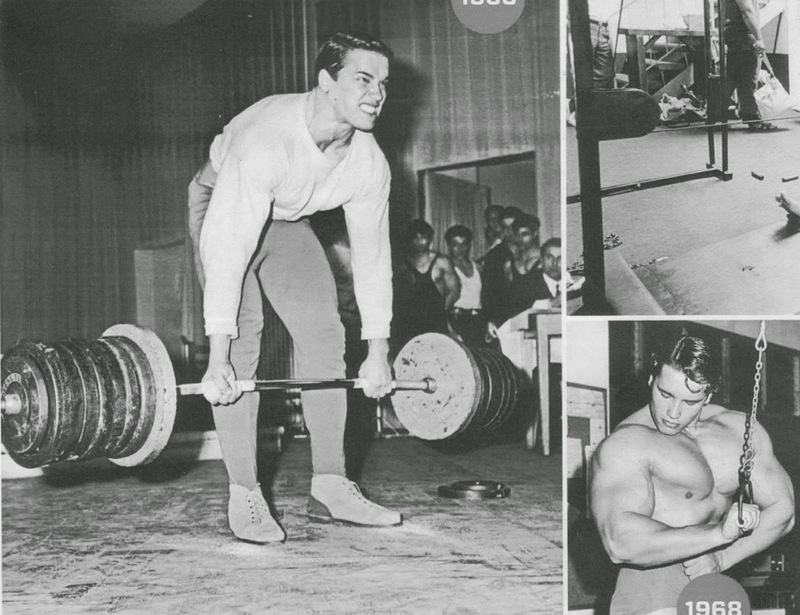 Paul Anderson is still the all-time unofficial leader in the squat, and, at various times in his training, the amount of total tonnage he used was incredible. In fact, he sometimes did hundreds of squats with no weight at all. 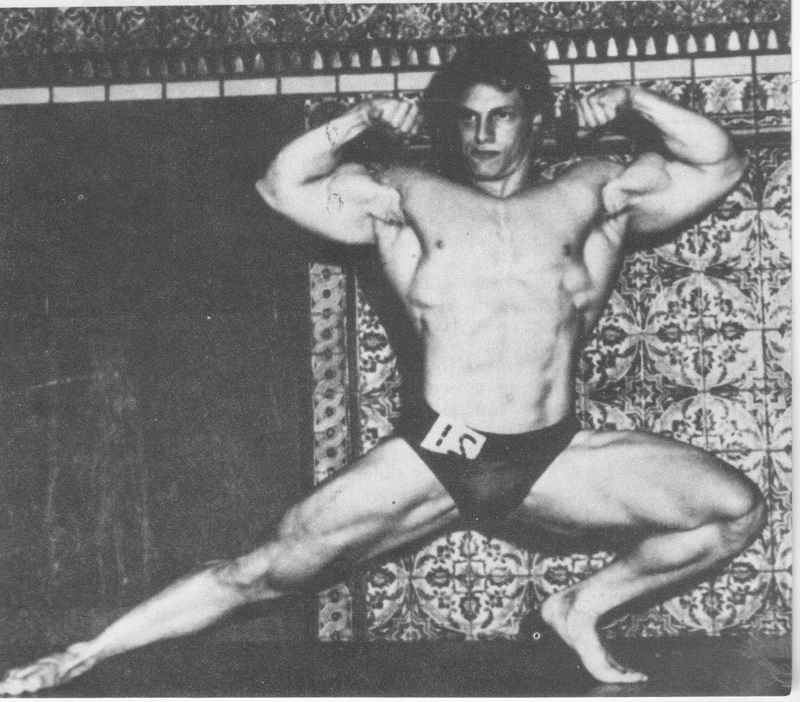 Tom Platz, on the other hand, is almost unanimously credited with having the best developed legs ever and, although he varies his workouts frequently, he also includes some total tonnage in his work using 30 to 50 or even 70 repetitions per set. Of course, these are not the only methods. Other ways of working on one's total tonnage would be Johnny Fuller's 10 sets of 32 reps on all exercises; the rest-pause system whereby a weight is used that can be handled for 15 repetitions, and with very little rest between sets, seeing how many reps can be performed in 15 minutes, or doing one rep with a certain weight every minute until 100 sets have been completed. My own system is based on the principle of getting something painful over with as fast as possible, so i just use on set of mega-reps. This idea was originally suggested to me a number of years ago when I was reading about a female marathon runner who used 100x100 in the squat as part of her training. Liking a challenge, I worked at if off and on between heavy cycles until I could perform this feat. Along the way I realized that this was another method of increasing my total tonnage prior to cycling for heavy lifts. So now when I am in this preparatory phase of my training I can increase my total tonnage by a 1/2-ton by increasing the weight and repetitions by five. So the next time around I did 105x105 and then 110x110 and so on. But it has worked, you might ask? Have my individual lifts increased? Of course this is only one phase of my training, but it certainly hasn't hurt. My squat goes up every year, starting with a 235 at 123 ten years ago, to my latest effort of 656 at 179 (adolescent growth was not a factor either as I was 25 at my first meet). Because I am more of a scientist interested in discovering the immutable laws of weightlifting, rather than being strictly an athlete, I experiment on myself with the one event that I happen to enjoy. However, this type of training can and should be used for any muscle group or weightlifting event. Almost all other successful powerlifters use some type of total tonnage training at various points in their training. The Finnish deadlift routine that is being widely used currently employs this type of training in the early phase with 10 sets of 10 reps in the stiff-legged deadlift off blocks. Lamar Gant, the world's top deadlifter pound for pound, has been known to work many sets of 20 reps in the deadlift until he was ready to drop. And Don Blue, a light-weight champion of the mid-seventies, used 10x10 in all three powerlifts. Now remember, I never said that the exercises used in this type of training is irrelevant. Thus, Olympic lifters working on their total tonnage training phase would surely want to use squats and various pulling and pressing movements, which ones exactly would be open to a certain amount of debate. This is how the Eastern bloc athletes handle this phase of their training. They have no jobs, aside from their event, so what they are doing in actuality is stimulating hard work, but in a methodical fashion. Basically, that is all I am talking about - hard work. Take any human being, have him work very hard, give him all the rest and nutrition he wants, and if he has the proper heredity for growth he will get bigger and stronger. It is exactly what goes on in Eastern bloc training centers. It is just that the exercises are selected to stimulate growth in the most important muscle groups for the specific sport involved. The same thing goes on in football training camps; plenty of hard work, all the food they can eat and curfew hours. And this is the same kind of regimen that has produced, in a haphazard way, all the countless asymmetric muscular giants that one sees walking around who have never touched a barbell, but who work long hours on a construction crew or loading dock, etc. In fact, a few years ago Dr. Terry Todd did an informal experiment in which he took kids from the city and had them do hard work on a camp, like chopping wood. After a certain amount of time, they all showed increases in their measurements and strength. Boxers are doing the same thing to improve their upper body strength and endurance when they chop down trees before a fight; and the bigger the fight, the more trees they cut. It is the same principle - total tonnage. I even experienced the same thing when I was in the Army. I did not lift weights those days and the basic training was especially physically grueling. We were required to run everywhere, even back to the barracks after mess-hall with a full stomach. And when I got home, a pair of pants I had bought just before I went in was much too tight in the legs and hips to wear anymore. The same principle was involved; good hard work, total tonnage. And actually, I do believe that most strength athletes do employ a certain amount of this type of training without calling it such nor computing their total tonnage. The latter is a mistake for how does the athlete know for sure that he is forcing himself to work harder without the empirical evidence of the total tons involved. 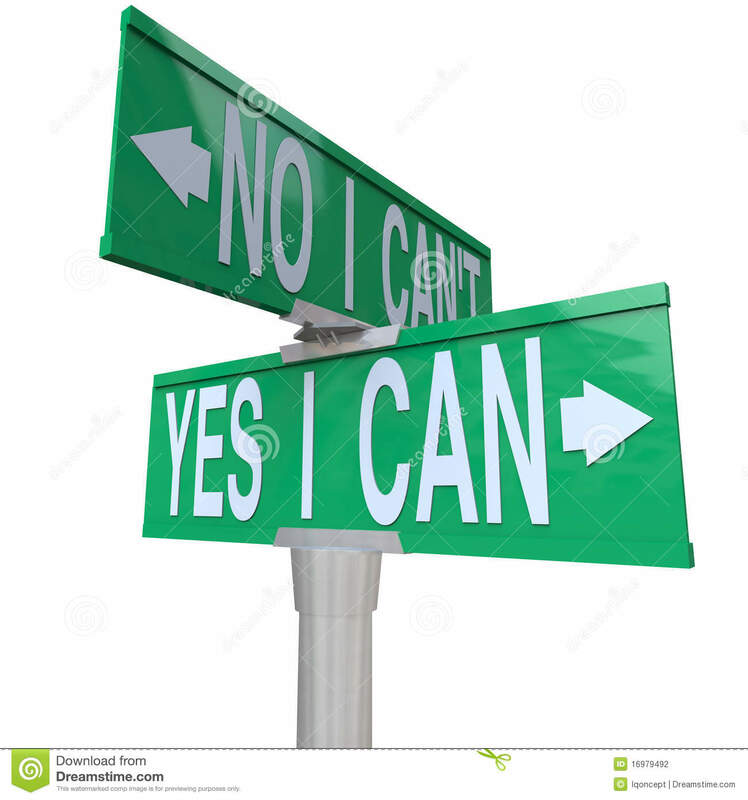 Now, it is not only important to do this type of training; it is equally important to choose a system that can be done twice or three times per year and not vary it. Only by repeating a certain system and computing the tons involved will the athlete be sure that he is forcing his body to work harder. Or, in other words, doing a bunch of haphazard exercises and computing the total tonnage would be as bad as not computing the tonnage at all. As I said, the original scheme of sets and reps chosen for the specific exercises is not all that important, but once a scheme is chosen, it should be adhered to in preparatory training cycles. Only in this fashion will the athlete have a benchmark to go by. Apart from the fact that this type of training gets results, why is it beneficial? First of all, we strength athletes are always being cautioned that lifting heavy all the time will 'burn you out'. So, concentrating on total tonnage training now and then gives one a break from heavy lifting without just taking a non-working break. But, even more importantly, if is also a natural compliment to heavy training. One 'burns out' doing heavy lifts because 1) it is hard on connective tissues, 2) it is not really conducive to muscular gains and 3) it becomes a chore psychologically to deal with heavy weight all the time. Total tonnage training on the other hand places more of a strain on the muscles, producing a tremendous overload on them, so that at first when one goes back to heavy training, the freshly strengthened muscles take some of the strain off the connective tissues, giving them a chance to get stronger. This is why I have found that when I go from total tonnage training to heavy lifting, it takes only a two-month cycle to surpass what I was previously hitting for singles. And conversely, when I go from heavy lifting to total tonnage training the connective tissue is stronger and so it only takes a few weeks and I can increase my tonnage. The two definitely compliment each other. On another level, total tonnage training will help one make gains because increases are basically a matter of will, whereas with heavy lifting, there comes a point where the body rebels and no matter how badly one wants another five pounds on a lift the body will not respond, or worse yet winds up injured. Total tonnage, on the other hand, requires a mindset or will to punish one's body a little more than last time and pick up the extra ton or whatever the goal is. However, this type of training is also not without risk. Because there is such a tremendous overload on the muscles, the chance of cramping is ever present. Stretching before and after a workout is should be employed, and an adequate supply of vitamins, minerals and water should be used. Another facet of this training is that it obviously taxes the cardiovascular system more than heavy training. This is one more reason that this type of training is important. One only has to lift in one contest or pump all day in one physique competition to know how important endurance is. 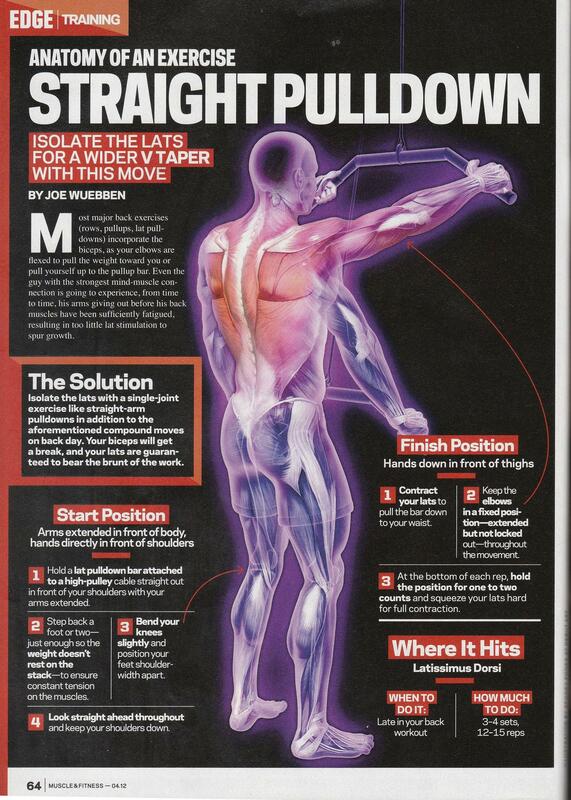 And, along with this being excellent cardiovascular work, it is an excellent way to expand the rib cage. I can guarantee that you can hang more meat on a larger rib cage, so it most definitely helps the athlete in the pursuit of muscular gains later on when he goes back to heavy training again. The question of whether or not muscular gains will be realized while on this type of program is an individual matter, depending on one's metabolism. Almost everyone will experience an increase in appetite on this type of routine because of the calories being burned and the muscle tissue being torn down, which must be replenished. But, if a person's rate of metabolism is high enough, there will be no increase in weight - some guys get very big from heavy construction and others just get wiry strong. 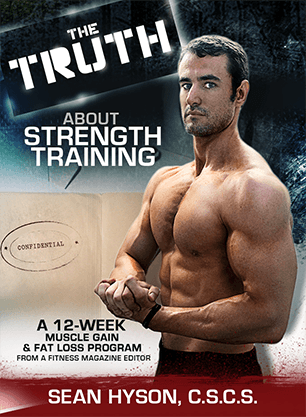 The bottom line here is that at least this type of training does not allow fat to set in and, for the aforementioned reasons, it will give one a base to realize the muscular potential that any given individual's heredity will allow. There is one last criticism that I can anticipate against this type of training - that it stimulates slow twitch muscle fibers instead of fast twitch. Of course this is no criticism for a bodybuilder; muscle is muscle as far as he is concerned. But what about a strength athlete? I am convinced t hat slow twitch muscle fiber can be used in a strength movement. In a chicken, for example, the wings are mostly fast twitch, and yet their wings could be use, theoretically at least, to lift things. From my personal experience, I cannot be convinced otherwise, since although I was at my heaviest for my last meet (179), I made my best squat pound for pound (3.7). So, if I have added slow twitch muscle fibers, it certainly has not hurt. Or, as Pacifico has put it when discussing bodybuilding for powerlifters, "One needs a cushion of muscle to go down with 6, 7 or 800 pounds in the squat." And that cushion of muscle could include slow twitch muscle fiber. I rest my case. In conclusion, I believe that the periodic, systematic employment of total tonnage training is one of the immutable laws of the iron game. To not employ this type of training is to invite stagnation to set into your lifting career. In fact, I am so convinced that this type of training is essential that I think even the fast gaining naturals can prolong their careers and avoid training injuries by doing this type of training, even if they do not seem to need it over the first few years of their careers in order to make gains.